Ever since Betfair emerged on the scene in the early 2000s, punters have tried to devise strategies for trading sports markets in the same way as people trade stockmarkets or forex. This involves laying at a certain price and then backing at a higher one, allowing you to make a profit whatever happens. Many people have focused on instances where odds are likely to move in a certain direction, hoping to capitalise on such moves without needing to worry about who is going to win the event in question. A great deal of attention has been paid to developing Betfair trading strategies around such ideas, with countless e-books, trading systems and forum discussions being devoted to them. But are there any Betfair trading strategies that actually work? Can you make money from trading the markets, or is it the fastest way to the poor house? Well, it is certainly not easy and if you are not careful, you can lose a lot of money trading. Keeping discipline is crucial and not over-trading or making impulse trades is the name of the game. However, there are some good methods out there that if you stick to and stay disciplined, can make a profit. Here we firstly list the best Betfair trading packages we have come across, then have a look at some of our own strategies. There are some good professional Betfair trading strategies out there that you want to try, which have tried and tested strategies, advice and guidance on trading sports markets on Betfair. The art of “scalping” is all about taking small and consistent profits from small movements in markets. In the case of Betfair, this means taking just one of two ticks in odds, for example from 2.14 to 2.12. Betfair Scalper is a training course that teaches you how to do this. It includes ten hours of training videos, including live examples of trades and the theory behind successful scalping. It is based on trading the horse racing markets in the 10-15 minutes before the race starts, when there is a large amount of liquidity and the odds can fluctuate quite significantly. The beauty of Betfair Scalper is that you don’t need to necessarily predict which way the market will move – doing that is very difficult indeed – but rather just profit from the small movements in odds back and forth. We ran a live trial using the methods outlined in Betfair Scalper and had nine successful days trading out of 10, with 9.2 points profit made. Once you get the hang of it, scalping can be quite fun and even a little addictive! On the whole it is a very good guide to scalping and can be used to make small but consistent profits from the Betfair markets. One of the most popular trading suites around and winner of multiple awards is Goal Profits, which comprises a group of football systems for trading on Betfair. Included when you sign up are 28 football trading strategies, including a new “Matrix” set of specialist systems. A good number of the systems included are based around the lay the draw and correct score trading strategies. There is also live in-play trading that you can follow in their chat room and see how the professionals do it. In addition there is a lot of support including training videos, a forum and FAQs section on the website. You can certainly learn from other members and exchange ideas with them on the forum. 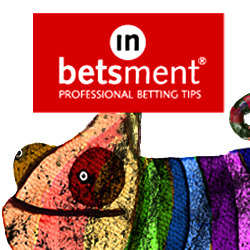 It is a real and large community of Betfair traders. Perhaps the best part of Goal Profits though is their “team statistics” software, that brings together statistics from leagues around the world to indicate where there is value in following certain trading systems for particular games. This is a very extensive database and gives you a potential edge over other traders online. Goal Profits has been awarded the top Betfair Trading System six times in an online poll, so clearly this is a very popular package and one worth checking out if you are interested in trading football markets on Betfair. Moving away from football and on to tennis, one of the best trading packages around is Trade Shark Tennis. It includes a variety of trading strategies, together with training videos, an in-play chat room and a stats spreadsheet to aid your trading. You are given daily updates with guides for key matches for the day and tips for trading those matches. There are some excellent systems included, which are based on sound stats and methods that should make you decent long-term returns. The package also includes a free bonus of Tradeshark’s Cricket Trading Strategies, which are also well thought-out and can be used on Betfair’s very liquid trading markets. The Trade Shark is very well respected and there are members of his who apparently make upwards of £500 per month from trading tennis matches. Well worth having a look if you are interested in trading Betfair’s tennis markets. Spartan Trading Tips come from Patrick Ross of Tennis Trading League, something of a tennis betting guru. What we think is interesting about the Spartan Trading Tips is they are based on a theory that has intrigued us for many years – cashing in on the big swings in odds you tend to get during tennis matches. If you have ever spent time watching the odds of a tennis match on Betfair or one of the other exchanges, you will note the incredible fluctuations you see. This can be within individual games, as a player faces break points, or within sets as players go a break down and within matches as players win and lose sets. So what if you could just identify matches that are likely to see such fluctuations? Or players who tend to have topsy-turvy matches (Andy Murray, looking at you!). That is what Spartan Trading Tips does, looking to lay at a certain price and then back at a higher price, guaranteeing a profit. The great thing about it is that you can just place the trades in Betfair before the match starts, then click “keep at in-play,” and you don’t have to monitor the match live, so you are free to get on with your day. The trading tips have made just shy of 1,000 points profit since the service was started in 2013, which is excellent going. So if you are looking to do some trading on Betfair that requires minimum effort on your part but makes very decent returns, then Spartan Trading Tips is the way forward. Above we have detailed the best professional Betfair trading strategies we have found online. Now we have a look at some of the strategies we use ourselves to trade the markets on Betfair. Most people familiar with Betfair trading will have heard of the lay the draw strategy for football – we even have our own blog post here explaining it in more detail and the best strategies for trading it. However, not as many people will have heard of Lay the Draw at Half-Time. It is based on the same principles – laying the draw when the game is level and trading out when there is a goal. With this one though, you wait until half time before entering you lay of the draw (as long as the game is drawing). The advantage of doing this is that often when you lay the draw at the start of the game, the odds don’t actually move very much when there is a goal. But by laying the draw at HT, you will ensure there is a big move in the draw price, for example, from around 2.4 to 4.5. Or if there is a late goal, it can be more like 2.4 to 10. That means you are making much more from each trade, although obviously there is a higher risk of it finishing a draw. You can of course hedge your risk by covering on the current score, although this will concurrently reduce your profits if there is a goal. It is advisable to use games where there is not too strong a favourite, as in those sorts of games if the underdog breaks the deadlog, the draw price will probably actually decrease rather than increase. So more evenly-matched games are advisable. Overall we have found this to be a sound strategy for trading on Betfair and with careful match selection where there is a high likelihood of another goal, it can be very profitable. One of the best trading strategies we have found for tennis is to lay the server at the start of a game. This works best in women’s tennis, where there are far more breaks of serve and on slower surfaces such as clay where there is a higher chance of serve being broken than on faster surfaces such as grass. So let’s say a player is 2.0 to win the match at the start of a game and is about to serve. You would put in a lay bet at 2.0 and then wait until the end of the game to see what happens. If serve is broken, then the odds will jump out to 3.0 or even higher, meaning you can then cash out to guarantee yourself a profit. If the server wins the game, then the odds will move in somewhat, although not as much as if serve is broken. Either way you would trade out at the end of the game – it is just a one-game strategy. It is advisable to pick players with a weak serve, as obviously they will be more vulnerable to dropping their serve. Some female players will lose their service games approximately half of the time (50%), but the amount you make when they lose their serve will be considerably more than when they win it, giving you a profitable trading strategy. Golf doesn’t tend to have quite as good liquidity as football and tennis but on the big tournaments like majors and World Golf Championships there is normally enough liquidity to make the following strategy work. Basically it is based around knowing which are the scoring holes and which are the difficult holes on a golf course and trading players as they play these holes. So for example at Augusta, which most people know as it is used every year for the US Masters, has a relatively easy stretch of holes from the 13th to the 15th, which includes two par 5s and a fairly straightforward par 4. Even the 16th can be a birdie hole as well depending on where the pin is. So you would back a player when they are coming to this stretch (say as they are finishing up on the 12th), then hope they birdie at least one but hopefully more of these holes, which will cause their price to drop. Then you can then lay them (or cash out) giving yourself a guaranteed profit. Conversely, the 10th to the 12th at Augusta are notoriously difficult holes and players often drop shots on these holes. So it can pay to lay a player as they enter this stretch and then back them again after they have played it, hopefully having dropped a couple of shots. You never know, they may plonk it in the water or hit it into someone’s garden like McIlroy did a few years ago! As with all trading strategies, there are no guarantees that you will win every time with this, but using a plan like this that takes advantage of probabilities will almost certainly pay off over time. There are some great Betfair trading strategies, both in terms of professional trading services you can sign up to and the standalone strategies we have outlined above. The key to successful trading, whichever strategy you adopt, is to have a clear plan of action, stay disciplined and trade out at your pre-defined points, win or lose. If you do that, then you will have a great chance of succeeding where 98% of people fail and actually win some money trading!